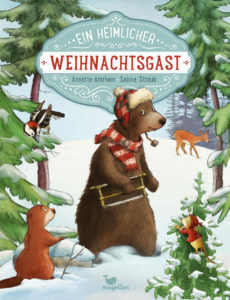 Every year on the 6th of December children in Germany celebrate Nikolaustag (well at our house the adults do as well). Children leave one nicely cleaned shoe outside their room in the evening of the 5th and the next morning they find loads and loads of chocolates, clementines, walnuts and if they are lucky a small present as well. If they have been naughty during the year, they only find some wooden sticks which Knecht Ruprecht has left for them to teach them a lesson (never happened to me by the way ;)). 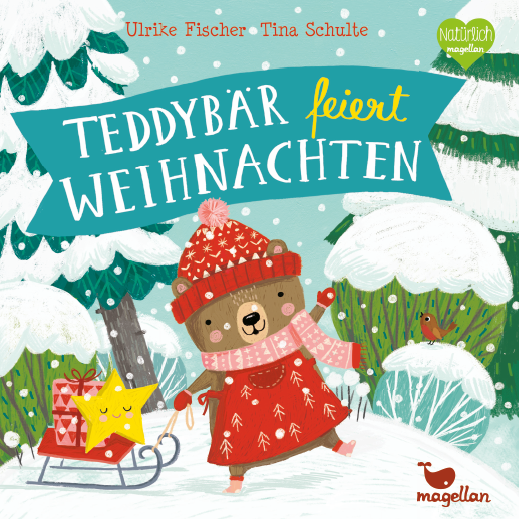 To be a true Christmas teddy – that’s what Teddy the cuddle bear wishes for. But what does a true Christmas teddy actually need to be dressed properly? Right: a beanie, a scarf, gloves, and warm socks are essentials! But where will Teddy get all these things in time to be a true Christmas teddy on Christmas Eve? A lovely Christmas story about finding friends in unexpected places. The bear has been so busy preparing for hibernation that he even forgot to go to sleep. However, he is overjoyed: For the first time ever, he’ll be able to celebrate Christmas! He wants to host a great party for the inhabitants of the forest and immediately sets out to write invitations, make decorations and get a tree. Unfortunately, the other animals are afraid of him and when Christmas Eve arrives, he is waiting in vain for his guests – or is he? Let me know if you would like further information! 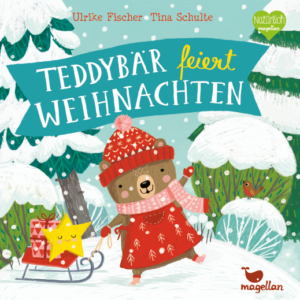 This entry was posted in Magellan and tagged bear, board book, Christmas, Magellan, Nikolaus, picture book on 6th December 2016 by admin.